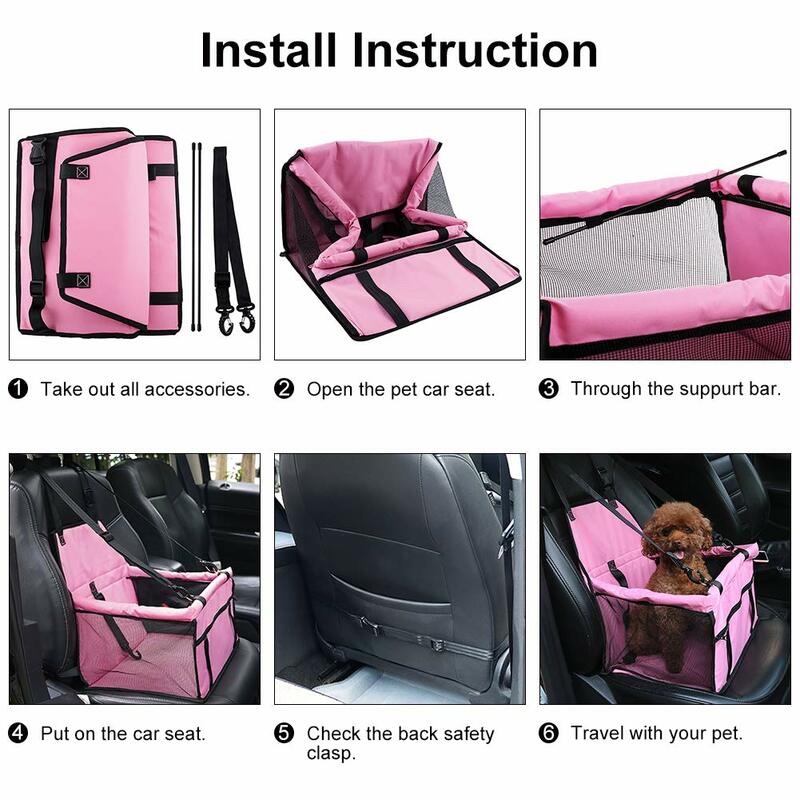 The Foldable Car Seat Pet Carrier keeps your pet safe & comfortable on the road! Travel with your feline friend comfortably with the Foldable Car Seat Pet Carrier. Pets are not immune from auto accidents and suffer the same injuries that humans would suffer in the event of a collision. That’s why for the safety of your pet while travelling on the road it’s imperative that your pet be secured in a carrier that will protect it in the event of a collision. Superior Firmness: Build-in second generation updated with carbon support poles, make the dog car seat NO COLLAPSE & NO DEFORMATION due to pet activity. 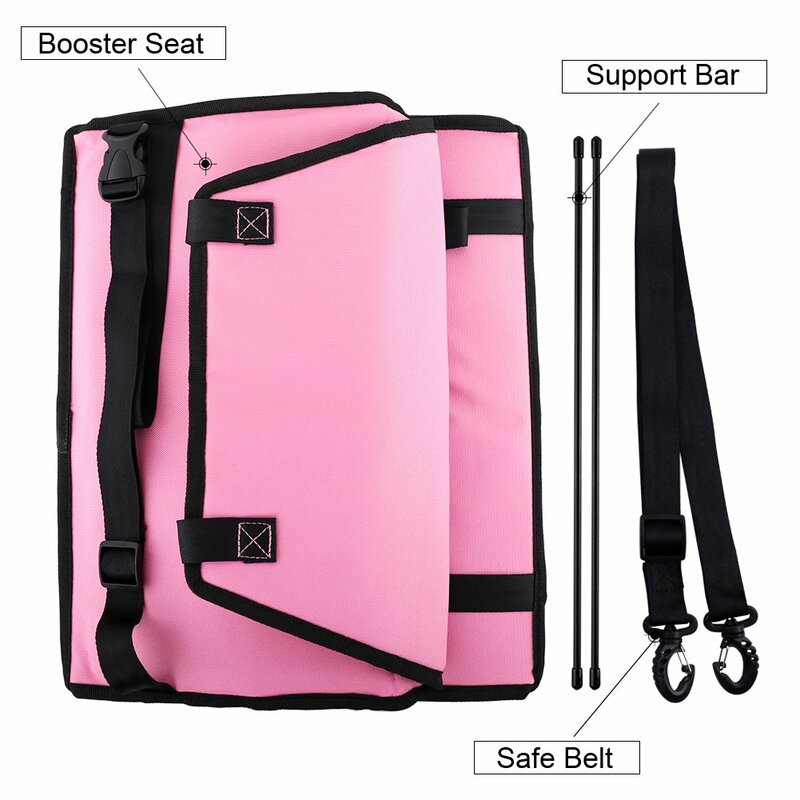 It is surrounded by a PE Clapboard and the bag edge fill up with thick foam bar, which ensured sufficient sturdiness and safety. Designed for Safe Driving: Equipped with two safety belts which stabilize the puppy car seat and a harness leash to fasten to your dog, you will be able todrive easily without worrying about the safety of your puppy. Convenient: Pops up in seconds with easy assembly and folds for easy space-saving storage. Portable and not take up space, waterproof material also make clean easily. All these designs of dog car carrier are only for your convenience. 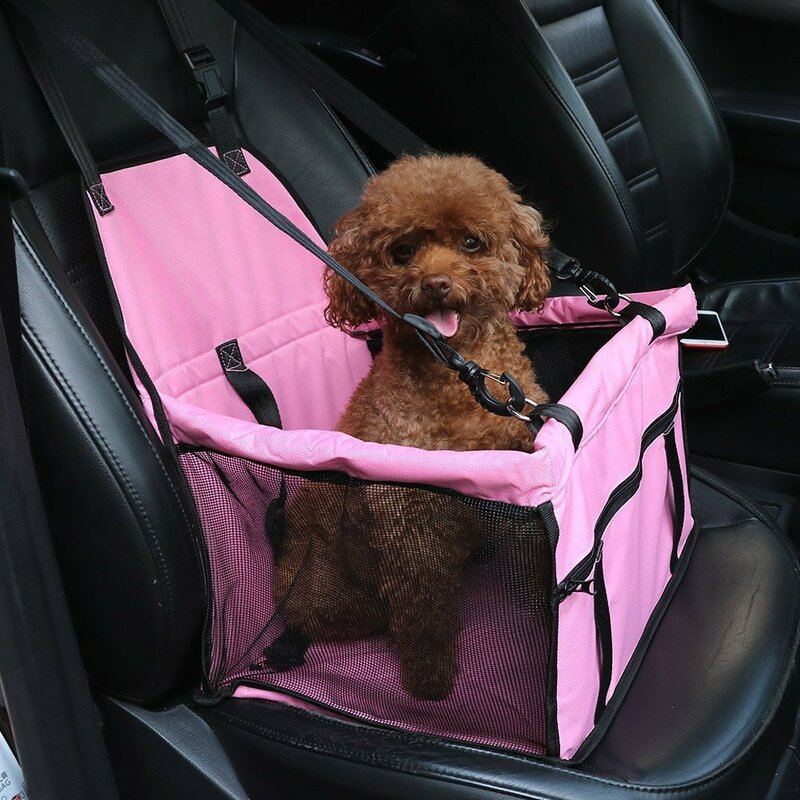 Excellent Quality: Made of durable PVC Oxford fabric and water-resistant materials, keeping your pets dry and comfortable, while also making pet car seats durable, non-slip, sturdy and waterproof to prevent damage to your car seat. 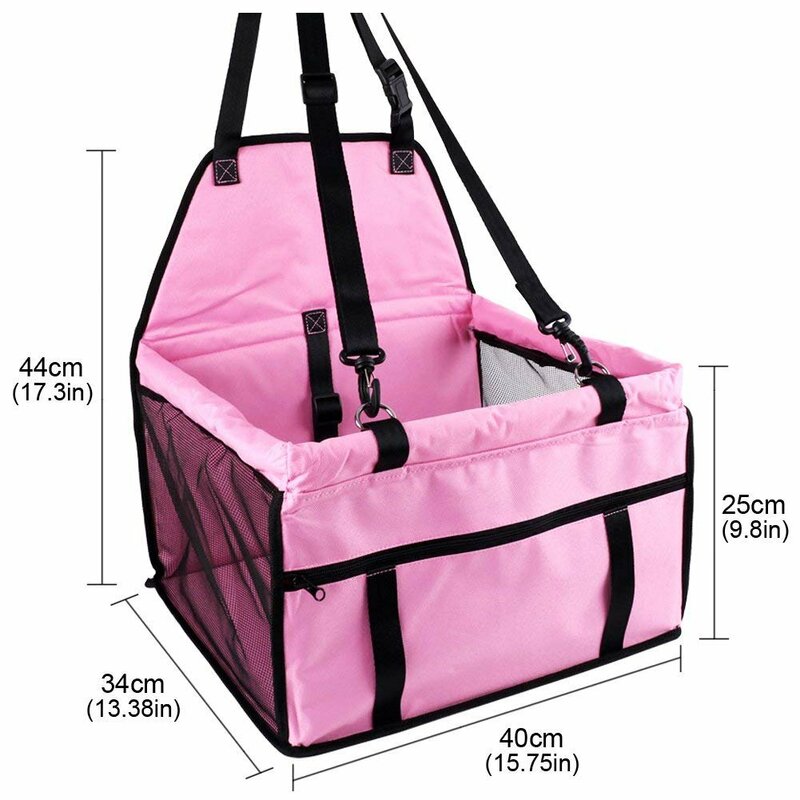 Product Dimensions: Bottom 40*32CM, height 25cm, Suitable for small dogs cats puppies and many other house pets weighing less than 25 lb. Central zipper design, more easy to clean. Keep Your Pet Safe & Cozy Every Time You Take Them On The Road.